Home Addons How PowerHashTag Can Keep You Organized While Providing Details on Contacts and Leads Be the first to comment. CRM is all about keeping your data clean, whether it’s a contact record with an accurate phone number and mailing address, or an opportunity that has the right products linked to the right customer. 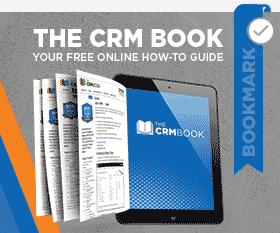 Keeping those key details straight is one of the major benefits of using CRM. But what about the details that may not be applicable to all your contacts, is there a way to store that information in an organized, searchable fashion? Yes, and it’s called PowerHashTag! Suppose you work for an event hall that schedules all sorts of different events from comedians, to plays, to lectures, to concerts. You could create a field labeled “Interest” but how would you be able to drill down and determine what type of comedian, or what type of lecture a contact is interested in? That field would become complex and disorganized in a hurry. Instead, by using PowerHashTag you could create specific hashtags such as #JoeCRMComedy, #Broadway, #ScienceLectures, #JazzConcerts. You can even customize the color of the hashtag by clicking on the hashtag and changing the default color using HTML Color Codes. The real magic of PowerHashTag is what happens next. Once you schedule Joe CRM Comedy to your event hall, you can search your CRM database and identify which contacts have an interest in seeing Joe CRM Comedy – let’s be honest though, it’s all your contacts – then you can reach out to each of them individually, add them to a marketing list, or drop them into a PowerNurture Campaign. The next step is to use an Advanced Find search to add those contacts to a marketing list. Open up advanced find, look for contacts that have a connection equal to the PowerHashTag you are searching against. Click on the results icon and voila – now you can add these contacts to a Marketing List, a Quick Campaign, or assign them to a designated salesperson. There are many different applications for PowerHashTag, especially in applying multiple categories to a customer record. To see how it can best suit your needs, reach out to us or give it a try yourself! Happy Dynamics 365’ing and #HappyHashTagging! by Joe D365	August 17, 2017 Be the first to comment.